Rossendale Pet Crematorium, Valley Pet Crematorium, Silvermere Haven, Whitley Brook Crematorium for Pets, The Pet Crematorium – Durham and Larkhall, and Greenacres Pet Crematorium. Rossendale Pet Crematorium was established in 1967 and is set in a tranquil fifteen acre countryside location overlooking the Rossendale Valley. Our first crematorium acquisition, Rossendale Pet Crematorium and Memorial Gardens provides pet cremation and veterinary healthcare waste disposal services operating as far north as Newcastle/Southern Cumbria and south as far as Melton Mowbray across to Staffordshire. Established in 2004, Valley Pet Crematorium is located on the outskirts of the sleepy Devon village of Christow, on the eastern edge of the Dartmoor National Park with views over the Teign Valley. Valley Pet Crematorium was acquired in December 2012 and currently provides pet cremation and veterinary healthcare waste services to an area covering Devon, Dorset, Somerset, Cornwall and South Wales. Silvermere Haven was established in 1977, established as a family business following the loss of a family pet. Set in 11 acres of woodland and meadows in beautiful Surrey countryside adjacent to St George’s Hill, Cobham. Silvermere Haven was acquired in January 2014 and currently provides pet cremation and veterinary healthcare waste disposal within a catchment area that extends from Dorset to Kent, includes Greater London, the Northern Home Counties and stretches up into Suffolk, Norfolk and Cambridgeshire. Whitley Brook is our latest pet crematorium acquisition and offers significant scope for expansion of the crematorium division in the North West. Established in 1996 and operating from its current premises in Runcorn since 2012, Whitley Brook is the first CVS crematorium to also offer equine cremation services. Whitley Brook provides pet and equine cremation and veterinary wastes service covering Cheshire, Staffordshire, Liverpool, North Wales and parts of Greater Manchester. The Pet Crematorium is the latest crematoria to be partnered with MiVetClub. It has two crematoriums which warmly welcomes pet owners, where families can say farewell to their beloved pet with privacy in beautiful surroundings. Their Witton Gilbert crematorium near Durham, was founded in 1983 and services Cumbria, Durham, Northumbria and Yorkshire. Their second crematorium, established in 1995, at Larkhall near Glasgow services Scotland. The Pet Crematorium is widely regarded as the North East England and Scotland’s premier pet crematoriums holding ISO9001 Accreditation. Located in a peaceful rural setting in open North Lincolnshire countryside on the outskirts of Scunthorpe, Greenacres Pet Crematorium was established in 1993. Over the years, husband and wife, Richard and Tracey Smith have built a strong reputation in the local community providing pet cremation services to pet owners and veterinary practices alike. Situated in tranquil grounds the crematorium has a welcoming Chapel of Rest where people can say goodbye to their pet. 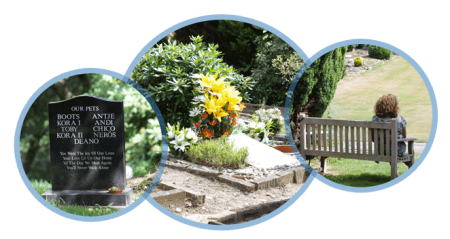 Greenacres Pet Crematorium also offers interment and burial services for much loved family pet’s in its beautifully maintained pet cemetery.